How do you take your musical from a nascent idea to a national stage? The average musical takes at least five years to make, with dreams dreamed, dashed, then dreamed again. 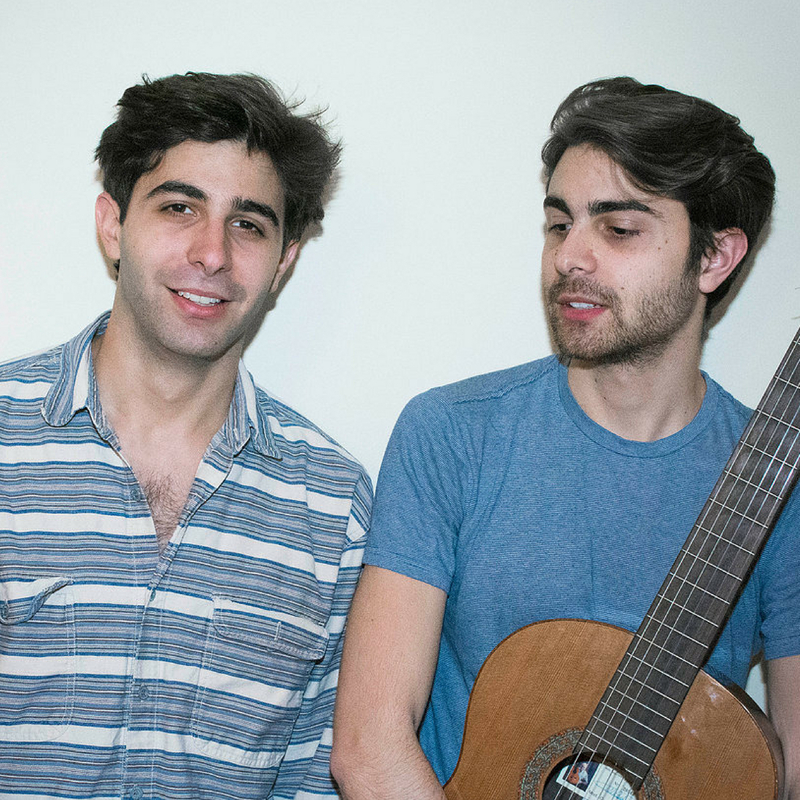 Daniel and Patrick Lazour know this process firsthand: their musical WE LIVE IN CAIRO, first workshopped at the O’Neill Theater Center in 2015, receives its world premiere at A.R.T. in Spring 2019. Their class will go behind the scenes of this process, offering advice and talking through case studies about how to foster your project with an eye toward production. Daniel and Patrick lend a friendly and practical approach to interfacing with producers, agents and artistic staff. They’ll discuss the revision process, the building of a creative team, the workshops, the retreats, and the filtering of all-too-many notes. A great glimpse into the musical theater industry for writers and theater-lovers alike! A familiarity with recent Broadway musicals may be helpful for case studies, but is not required. All experience levels are welcome. Daniel and Patrick Lazour (book, music and lyrics) are brothers and music theatre writers. They have workshopped their work at the O’Neill National Music Theater Conference and at New York Theatre Workshop under the 2016 Richard Rodgers Award. Their musical WE LIVE IN CAIRO will be produced at the American Repertory Theater in Cambridge, MA as part of their 2018/2019 season, directed by Taibi Magar. They have developed their work during residencies at the O’Neill, SPACE on Ryder Farm and the MacDowell Colony. Their new musical, BETHESDA, about the first chemotherapy trials in the 1950s and 60s, was workshopped at the Johnny Mercer Writers Colony at Goodspeed Theatre and Rhinebeck Writers Retreat. Patrick and Daniel were 2015-16 Dramatists Guild Fellows and are New York Theatre Workshop Usual Suspects. Most recently, they were artists-in-residence at the American University in Cairo. They can be heard performing their songs live at Cornelia Street Café. When you register for a PlayPenn class before September 25, 2018, you’ll be invited to submit your unproduced, full-length play for consideration for a professional staged reading. PlayPenn will produce one student’s play as a reading with a professional director, professional actors and a PlayPenn dramaturg in Philadelphia in the spring/summer of 2019. Only plays that have not had a professional production or reading will be considered. PlayPenn will cover the cost of the reading, but the student is responsible for their own housing and transportation. If you register for a class by the deadline, additional details will be emailed to you after September 25, along with a submission form. Click the link below to visit our Reservation Page, where you can view all classes and register for this course. For questions or to inquire about payment plans, please email classes@playpenn.org.